Desirable features of this NV Cargo NV2500 HD High Roof V8 SV includes: Electronic Stability Control, Keyless Entry, Steering Wheel Audio Controls, Rear Parking Aid, Power Windows, a Electronic Messaging Assistance, Steering Wheel Controls, Traction Control, a Trailer Hitch Receiver, Power Locks, Power Mirrors, Brake Assist, Rear Wheel Drive, Cloth Seats, an Auxiliary Audio Input, Daytime Running Lights, a Spare Tire (Full Size), Front Tow Hooks, a Third Passenger Door, Air Conditioning, a Drivers Air Bag, Steel Wheels, Bucket Seats, Anti-Lock Brakes, Disc Brakes, Bluetooth Connection, an AM/FM Stereo, Vinyl Interior, Cruise Control, an Adjustable Steering Wheel, a Gasoline Engine, an MP3 Compatible Radio, a Tire Pressure Monitoring System, a Front Side Air Bags, Intermittent Wipers, a Front Head Air Bag, a Trip Computer, a Passenger Air Bag, Power Steering, a Tilt Steering Wheel, and Variable Speed Intermittent Wipers. Equipped with an impressive 8cyl, 5.6l, 375.0hp engine, and a gauges -inc: speedometer, odometer, voltmeter, oil pressure, engine coolant temp, tachometer, fluid temp, trip odometer and trip computer with rear wheel drive. 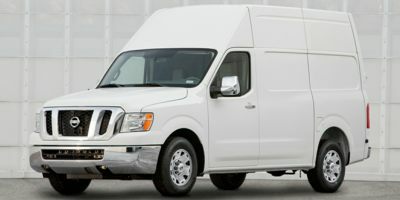 Contact Tom Naquin today at (574) 293-8621 to schedule your test drive of this 2019 Nissan NV Cargo NV2500 HD High Roof V8 SV! Or stop in and visit us at 2500 West Lexington Avenue Elkhart IN, 46514 to see it in person! Keyless Entry which also has an emergency button on the remote which will cause the alarm to sound, attracting attention and scaring off potential thugs, Steering Wheel Audio Controls are a must to keep your eyes and hands on the steering wheel., and Auxiliary Audio Input. Bluetooth providing you with added convenience and flexibility and an MP3 Player Dock allowing you access to crank digital tunes and playlists like a concert hall.